Michael Beck International, headquartered in Portland, OR, USA, is passionate about helping companies and their leaders bring out the best in people. Our nationwide team of experienced executive coaches believes that is the essence of exceptional leadership, and everything we do reflects that philosophy and our passion. 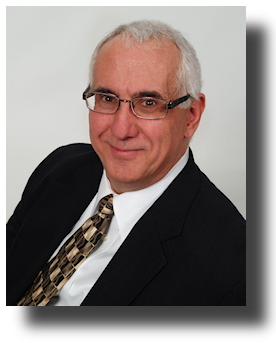 Michael Beck is an executive coach, business strategist, author, and president of Eliciting Excellence, a firm specializing in the assessment and development of leaders. He works with leaders to improve interpersonal skills, sharpen strategic thinking, and enhance judgment. His work helps maximize the value of a sale and increase the likelihood of a deal actually closing by strengthening the effectiveness of the leadership team. He offers leadership assessments and executive coaching, all designed to help successors succeed and owners get paid. Based on his 35+ years of domestic and international experience, Michael has developed an approach to executive coaching and strategy development which allows him to identify core issues faster and develop effective solutions more quickly. Whether working with leaders to enhance their effectiveness or working with them to develop great strategies, his distinct way of thinking allows him to see patterns where others simply see complexity. He has worked domestically and internationally with a wide range of clients from diverse industries including manufacturing, professional services, technology, healthcare, financial services, and not-for-profit. With a background in engineering (BS, MS – University of Pennsylvania) and finance (MBA – Wharton School of Business), Michael has held executive positions as CEO, COO, CFO, and VP of Business Development. Additionally, he spent several years overseas as a business advisor to a member of the Royal Family of Saudi Arabia.